As Brandon Beachy’s return from Tommy John surgery draws near, the Braves are faced with a problem that the majority of teams would like to have: too many good starting pitchers. 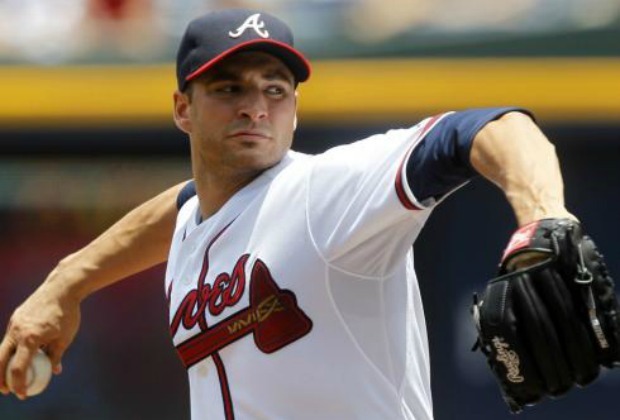 The Braves currently hold Major League Baseball’s top team ERA and adding Beachy to the mix is a precarious situation despite his strong play in 2012 prior to his injury. There is no obvious solution to this issue as each of the Braves’ starters can each make a strong claim to remain in the rota- tion once Beachy returns in the coming days. Mike Minor, who nearly didn’t make the final roster last season, has been the team’s most consistent arm. He leads the team with an 8-2 record, along with a team-leading 2.44 ERA through June 11. Paul Maholm has also been solid throughout the first half of the season, with a 7-4 record and 3.46 ERA. Despite a below-average start to the season, the notion that Tim Hudson could be removed as a regular part of the starting rotation can immediately be dismissed as well. Hudson has been a model of consistency throughout his Atlanta career and has more often than not delivered in big-game situations. Perhaps the only question marks in the rotation are about Kris Medlen and rookie Julio Teheran, but even those questions can be deemed minor in the grand scheme of things. Medlen was an absolute force in 2012 after returning to the starting rotation in July with a 10-1 record and 1.57 ERA. The team won a MLB-record 23 consecutive games in which Medlen started. He’s gotten off to a slower start in 2013 with a 3-6 record through June 11, but he has the second-best ERA amongst starters at 2.87. He’s been the victim of weak run support during his starts, which is essentially just bad luck on his end. Teheran may have seemed like an obvious choice to be moved to the thin bullpen, but his performance on June 5 against the Pirates may have permanently altered that viewpoint. Teheran took a no-hitter into the eighth inning and finished with a one-hit shutout effort en route to his fourth win of the season. He’s steadily improved in each of his starts this season and has showed signs that he may be living up to the immense hype that has surrounded him throughout his young career. Fredi Gonzalez and even Frank Wren have tough decisions to make and minimal time to do so. Maybe Beachy starts out in the bullpen with some extended relief efforts to gauge his progress and see if he has the durability to pitch starters’ innings. After the loss- es of both Eric O’Flaherty and Jonny Venters to Tommy John surgery, the Braves’ bullpen lacks the invincibility, outside of Craig Kimbrel, that it once had. Even if only temporarily, adding Beachy to the reliever core could be a low-risk high-reward scenario for the Braves as they near the all-star break sitting atop the NL East standings. If Beachy begins to pitch close to the level that he’s capable of, Frank Wren may be the guy to make an even tougher decision as he could look to make a deal to bolster the team in other areas by trading one of the current starters if Beachy is inserted back into the rotation. The bullpen issue will once again peek its head out and for the Braves to have any shot of postseason success, it must be addressed. Wren could look into dealing someone like Maholm, who despite a solid start, may be the most expendable of the Braves’ arms. Trading Maholm could net them a top-tier reliever and possibly another bat, which may be necessary if B.J. Upton, Dan Uggla and Jason Heyward continue their sub-par efforts at the plate thus far. If Wren is presented with the right deal that instantly improves the team’s weaknesses, he shouldn’t hesitate to pull the trigger. Wren and Gonzalez clearly have their hands tied but if the past is any indication, the duo will make the right decisions with the team’s postseason aspirations and long-term future in mind.